This is the Springdale model-- a Lennar Home! This home is adorable and comes with all the "Elite" upgrades offered by the builder! Ranch style home that is directly across from the park. Baseball/Softball field, playground equipment, basketball, and also the club house is steps away from your front door. 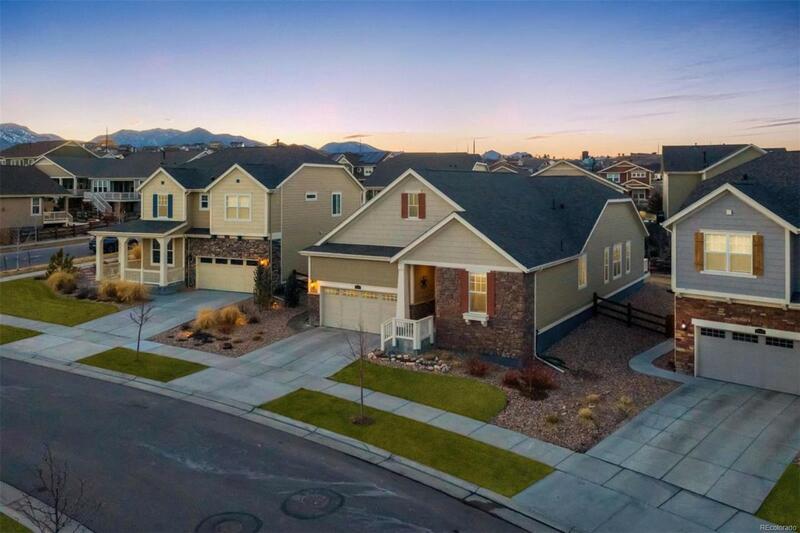 This home has city and mountain views! Basement is not finished which allows you to bring your design to increase additional living space if needed. The backyard is ready for your spring, summer, and fall enjoyment! There is also a deck for your outdoor entertainment needs. No need to wait for the builder to build you a home move in now and enjoy all the benefits that come with Leyden Rock Living. Look at these pictures you know it is not going to stay on the market for long!